This is a guest contribution from Caitlin Gustafson.I imagine a dirt road with boys playing with a lonely old soccer ball in the warm sunshine. A little boy with dark brown curls chases the ball, his worn sneakers kicking up dust from the street. I don’t know if that’s what life is really like for Janair, my sponsor child from Honduras. But every time I get a hand-written letter in crayon, or I see a new picture of him, it’s what I imagine. Compassion International is a non-profit organization that works in 26 countries around the world and is one of the few organizations that holds a 4-star rating from CharityNavigator. Compassion was doing content marketing before it was in vogue and they consistently outperform other similar non-profits in their efforts. Though Compassion International uses many methods of content marketing, including video, Pinterest, direct mail, and email, a huge part of their success is tied to blogging. According to Content Marketing Institute, 61% of Non-Profit marketers use content marketing, but only 35% say their efforts are effective. I’d venture a guess that the marketing team at Compassion International is within that 35%. 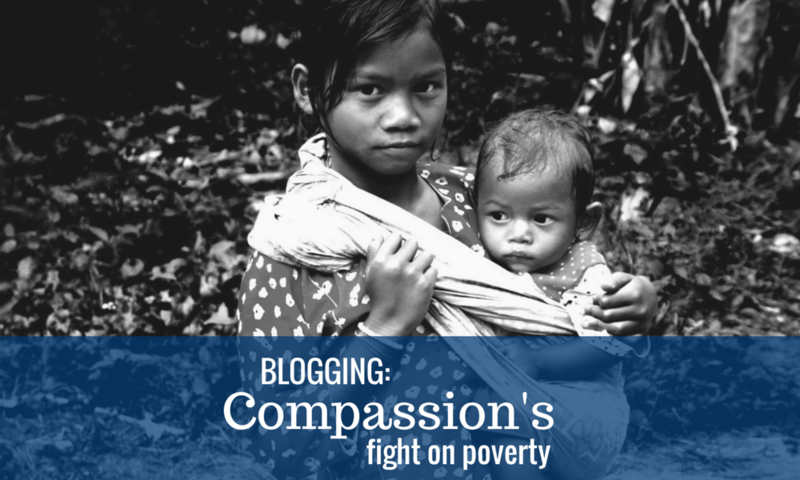 Every few days, Compassion International posts new stories to their blog. Some are communicated from field specialists, those who work directly with sponsored children and world relief projects. These are stories of heartbreak and hope for a brighter future. Some are inspirational pieces written to encourage sponsors to have more involved relationships with their sponsored children. Other stories are written by sponsored children who have overcome poverty through Compassion programs. Occasionally you will hear from a sponsor who tells how their involvement in Compassion has changed their life. 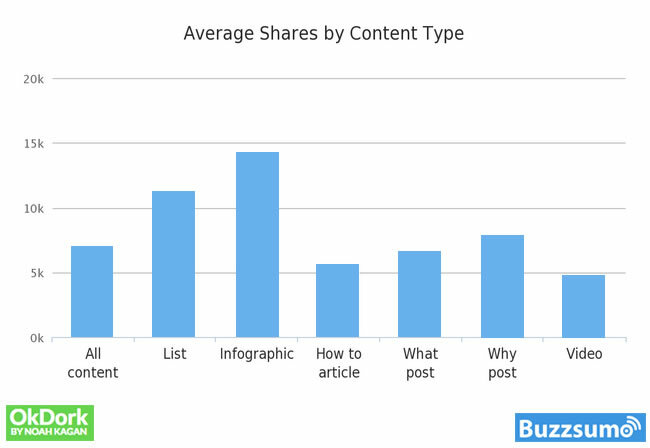 What makes the blog so engaging is how they manage to tell a story in each update. All of these are all personalized stories from people directly involved in their relief programs. They aren’t lists of ways to alleviate poverty, and individual blog posts aren’t likely to rank for any keywords in a Google search. 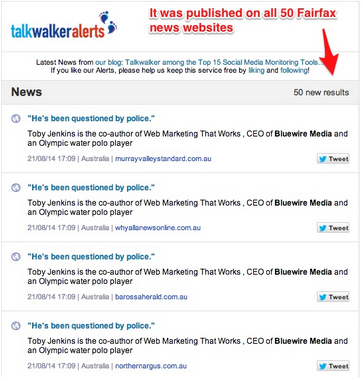 Somehow I doubt ranking for specific keywords is the intent with this blog. Instead, it’s a compelling collection of stories that keeps readers coming back, engaged, and committed to Compassion’s relief efforts. Not only does Compassion keep an active blog that gets great engagement on social media and more, they have a network of over 350 affiliate bloggers to amplify their message to new audiences. Some of these bloggers are big names with lots of followers, such as author Ann Voskamp, or popular musical artist Shaun Groves. Compassion offers monthly assignments or writing prompts that bloggers can incorporate into their content calendars if they so choose. Through this program each blogger is given a sponsor affiliate code and they can track how many children are sponsored through the links they use on their website. It’s a different rewards program than many affiliate networks, which reward bloggers with commissions or free product based on sales. Instead, this rewards program directly benefits the blogger’s sponsor child through family gifts that help impoverished families buy extra food, clothes, chickens, etc. Every so often, Compassion takes groups of sponsors overseas to meet the children they support. Bloggers often come on these trips and write about their experiences and encourage others to sign up and sponsor their own children using affiliate links. Myquillyn Smith from Nesting Place and Christy Jordan from Southern Plate are two popular bloggers that have taken part in such trips. Their stories have inspired many readers to sponsor their own children through Compassion International. As a blogger, your website might not be dedicated to AIDS relief or ending poverty. So if you’re wondering how you can translate Compassion’s blogging success to your financial planning site, here’s my suggestion: readers want stories. It’s never been clearer that the most successful brands, advertisements, and blogs are the ones that tell a story. Ikea Spain’s Holiday commercial last year wasn’t about their furniture. It was about families and togetherness over the Holidays, and told as a story. Lifestyle bloggers like Joy Cho, Joanna Goddard, and Kendi Skeen are popular because they connect with their readers through stories. KendiEveryday is a style blog – but readers love when she talks about her business ventures into opening her own clothing boutique. OhJoy is a mommy blogger that connects with readers by incorporating her recent pregnancy story into her regular blog content, like her “how to dress the bump” in each month of her pregnancy. A blog about financial planning can be exciting if you can use it to tell readers how you got into the business of stocks and IRAs. Could you tell a client’s success story? Incorporating these stories into your regular blog content can only benefit your blog in the long run as it builds that personal relationship with your readers. Caitlin Gustafson is an Online PR Specialist for Web Talent Marketing with a focus on content marketing and social media. You can find her blogging and tweeting about her two favorite things: digital marketing and travel. One of the biggest misconceptions that many bloggers have is that you need MASSIVE traffic to become a full time blogger. We often hear how many hundreds of thousands or even millions of visitors this or that blog has but the reality is that I’ve met many bloggers over the years who don’t have massive traffic – yet who are still making a healthy income from their blogging. The problem is that these bloggers don’t always have the platform to tell their stories and so the myth that you need massive traffic goes on without being busted. This year I want to smash that myth and want to tell the stories of smaller to medium sized bloggers who are making a living from their blogs. If you’re a full time (or close to full time) blogger and would consider yourself to be in the small to medium category – I’ve love to hear a little about you and your blog and have set up a form to help gather your stories. I can’t guarantee to tell everyone’s story (I’ve already had 80 responses) but I would love to hear it. I’m looking for as many models of making money blogging as I can find. So whether you’re doing it through some kind of advertising or sponsorship or by selling an eProduct or membership or even if you’re using a blog to sell your services or to promote a brick and mortar business – I’d love to hear from you. Note: I’m particularly looking for blogs that are NOT about making money online. While that’s a legit niche I got a load of those in previous submissions. I’d much prefer to hear from blogs who blog about fashion, travel, food, business, health, fitness, parenting, life… not making money. Sorry if that excludes you but looking for other niches right now. PS: a few people have asked what I would classify ‘small to medium traffic’ as. While I’m open to your interpretation on that the examples that I’ve got so far that interest me the most are from people who have traffic from as little as 600 visitors a month (really, there are a couple of great examples) up to 20,000 to 30,000 per month (or 1000 or so per day). Having said that – I’m open to hearing all kinds of stories! This is a guest contribution from Kulwat Nagi. Today, Internet marketing is evolving at a greater pace than ever. Companies are pulling out all the stops to get more online exposure and, eventually, more customers. Using premium services for all the tools necessary for Internet marketing is not feasible for every business – that’s when free options come into play. If you are one of the Internet marketers who is still banging their head against a brick wall to find free tools that can help you save your time, boost your productivity and ultimately bring some favorable results, then stay tuned for another 5–10 minutes. Here I am going to reveal 15 Internet marketing tools which I am personally using and getting huge benefits from. Being an Internet marketer, I can understand how difficult it is to come up with a great idea. Having writer’s block is one of the biggest enemies for all the Internet marketers. When that’s the case, you can use this idea generator tool, which offers tons of creative ideas. 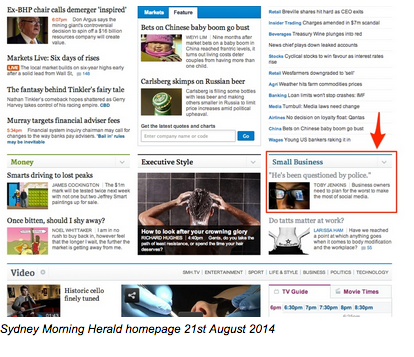 Such a killer innovation that makes it possible to enjoy articles anywhere in the world. 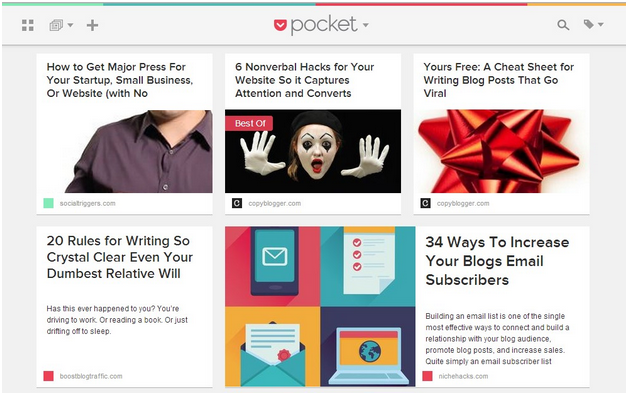 Pocket can be added as an extension on any browser or downloaded as an app for all smart phones. You can install this app in your browser and save articles for future reading. All the saved articles can be accessed at a later time. This is great service for sharing your content on various social media websites. You can easily schedule your content on various social media and site and populate your content very simply, all from one dashboard. 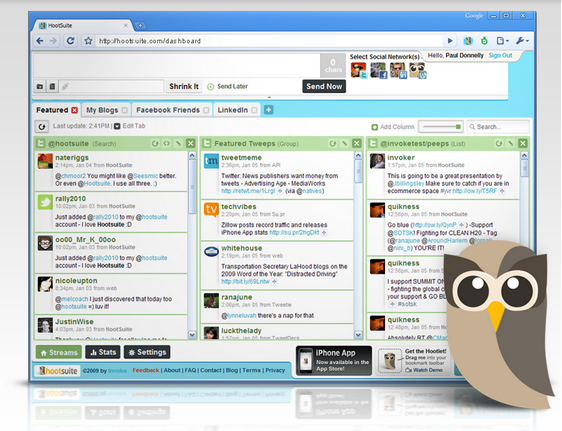 If we talk about social media management, HootSuite grabs the top position on the list. 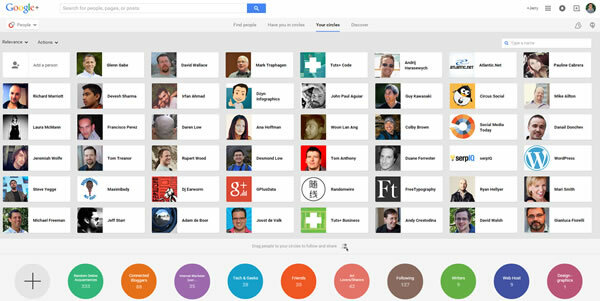 This little tool helps you manage all your social media activities from one dashboard. You can schedule your tweets, Facebook status updates, Google+ shares and various other awesome things which are only limited by your imagination! 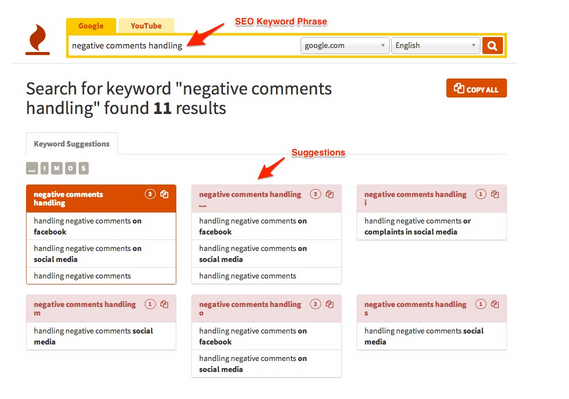 Moz and SEMRush are the best tools to use to check backlinks for any website. 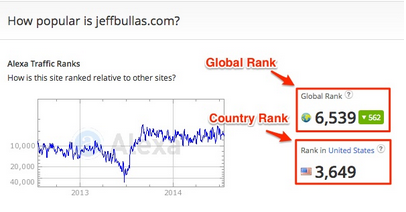 Although they offer only a few searches for free members, you can still find your competitors’ backlinks very easily. 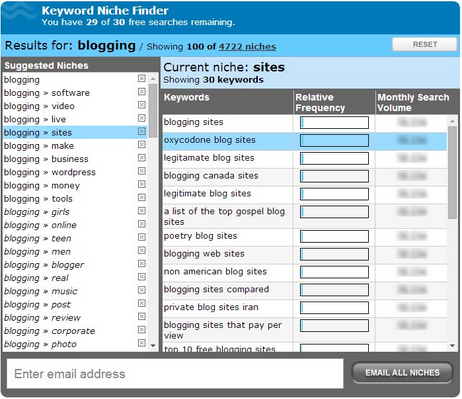 Keyword Niche Finder is an awesome and easy-to-use software. It will let you come up with most profitable keyword(s) in your niche. The tool will categorise your keywords according to different niches and will provide you with keyword suggestions for different niches of your keyword. This is a Chrome extension which will let you check spelling, style and grammar. 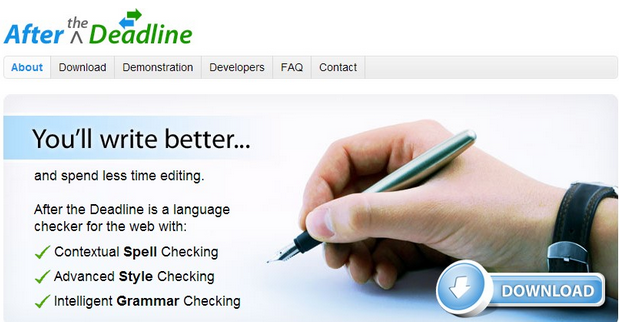 It will check your spelling in real time, so you’ll never make the same mistakes again. Note: If you are a WordPress user, you can download this plugin here. I love Google page speed and GTMetrix. Both tools analyse websites to determine the loading time on your blog. Google gives priority to fast-loading blogs, so these tools will show opportunity areas on your blog to improve the loading time. After following suggestions given by these tools, you can improve your blog’s loading time dramatically. 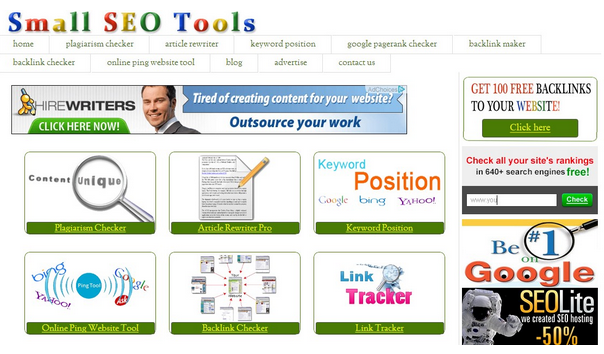 Small SEO Tools is the best site I’ve come across in my blogging career. They have included some of the best tools, free of cost. I personally use this site daily for different tasks. and at least 30 more tools to make your life easier. Google Drive continuously saves your data while you are still preparing a document so there is no need to worry if there is any interruption, like computer hangs or shutdown. 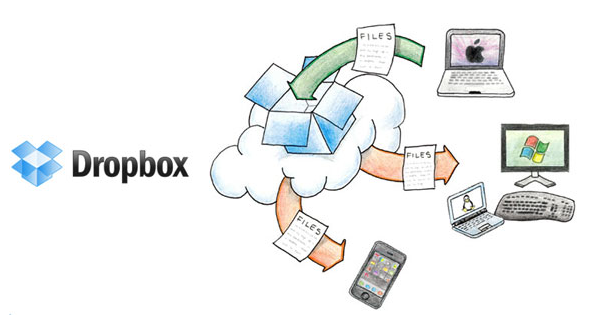 Dropbox gives you 2GB space when you join. By referring your online buddies, you can get an additional 20GB of space at no cost. If you love to create podcasts on your blog or are thinking about starting to create them, then this is one of the must-have tools for you. 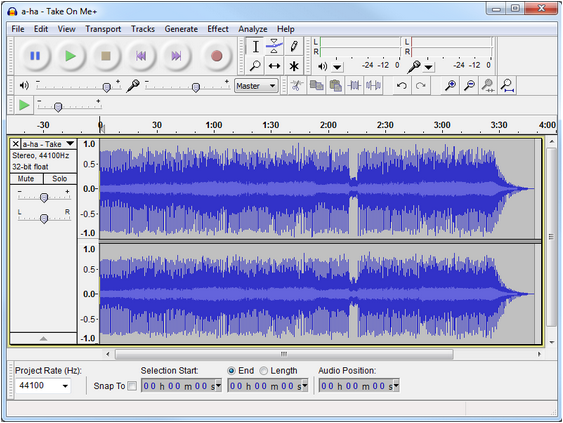 Audacity comes with a fantastic interface which helps you to mix your audio files, cut down little portions, adjust volume and many other little tweaks to make your audio file more professional. 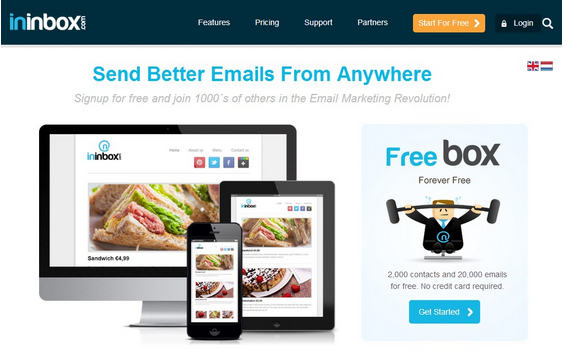 MailChimp, Mam Mimi and Ininbox are three free tools which you can use to build subscribers on your blog. 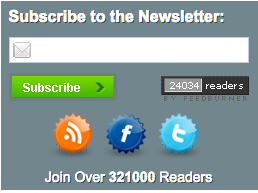 They allow you to add a good number of subscribers, free of cost. They each have different tools that you can customise to your needs. More than 60 percent of images on my blog have been downloaded from PhotoPin. 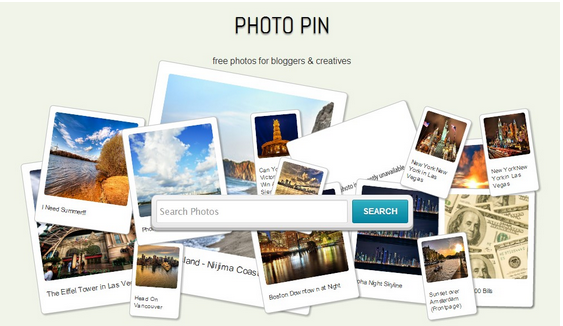 Photopin fetches free images from Flickr, which makes a great collection. In the search results, the first 10-15 images will be sponsored images, so you can skip those images and choose the appropriate images from the rest of the collection for your blog post. 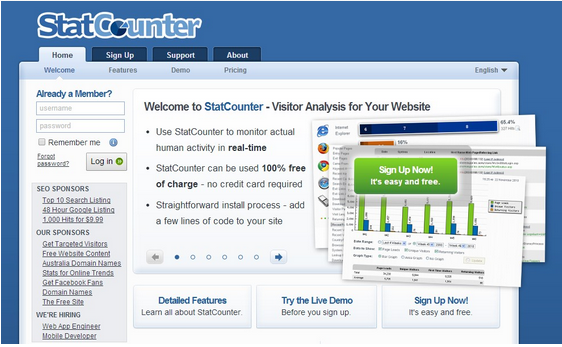 You will get few lines of code which you can add to your blog and start tracking your visitors right away. 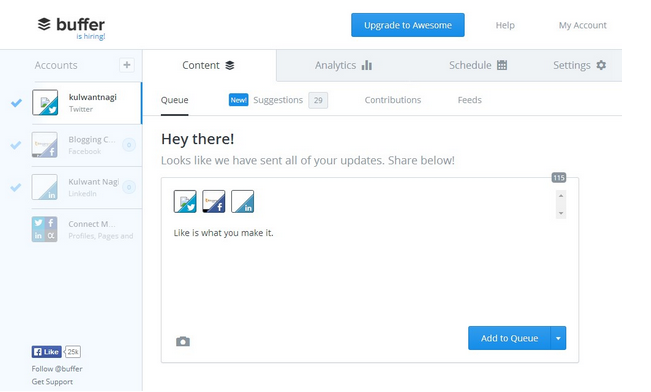 Asana lets you assign tasks to your team members and keeps you informed about their activities. As soon as they finish the task assigned to them, you will get an email notification. This will not only help you to track your progress, but you will also be able to manage your team’s tasks very efficiently. Kulwant Nagi is an Internet marketing expert. He writes at BloggingCage.com where he shares blogging and SEO tips to help you make your blogging career awesome. What does the ‘Pro’ in ProBlogger Stand for? I overheard an interesting debate on Twitter recently about what the ‘Pro’ in ProBlogger stands for. Is it to signify professional behaviour, or is it about the profession of blogging? The answer is both – but in my mind it’s more. As a 16-year-old I took a short course in public speaking. This was an unusual move for me because I was a very shy kid who had a small group of friends. The idea of speaking in front of a room of people terrified me, but as I wanted to conquer that fear I took the class. At the end of the course I had to stand up in front of a room of 60 or so people and talk for five minutes. I’d never felt such a rush of exhilaration and I saw people in the audience respond positively to my words and it triggered in me the beginning of a passion for communication. I’ve explored many forms of communication over the years but when I stumbled across blogs for the first time in 2002 I knew I’d found something special. What other tool could amplify the voice of an ordinar guy like me around the world to millions of people? I love blogging and I love bloggers and what they do day in and day out with their blogs. This blog is written by bloggers for bloggers and my hope is that it’ll help them to step closer to their potential. For the first 18 or so months of my blogging, I didn’t consider the idea that it could be anything but a hobby. That changed through a series of events including starting a little digital camera review blog and stumbling across the brand new Google AdSense ad network. To cut a long story short I began to experiment with making a little money from my blogs with the hope of covering my server costs and with the dream of one day being able to make enough money to get off dial-up internet and onto broadband. Gradually I made enough to do both those things and the income grew into the equivalent of a part time income. At this point I created a category on my personal blog for ‘blog tips’ and began sharing what I was learning. My income continued to grow until I reached a point in late 2004 where I realised I was going to have a full time income from blogging and that it had the potential to be my career or profession. I began to search for other full time bloggers and found very few writing about their experience so decided to start a blog on my journey to ‘go pro’ as a blogger. ProBlogger.net was born and I imported all my previously written blog tips from my personal blog over to start it in September 2004. I can’t lay claim to inventing the term as someone had already registered ProBlogger.com (which I later bought). They were not really using the domain (but seemed to have plans to develop a blogging platform) and as far as I know, I was the first person to use the term to describe someone making a living from blogging. The early days of the blog were simply me sharing my journey of making a living from blogging. I wrote more general blog tips but the focus was always upon helping bloggers to sustain writing about their passions by building profitable blogs. I’m a glass half full kind of guy (most of the time) and was brought up by parents who taught me to always look for the positives in situations I face, and in the people around me. Similarly, a phrase that was often heard in our house was ‘if you don’t have anything nice to say, don’t say anything at all’. This has all rubbed off on me and the way that I blog and I’m a big believer in spending 99% of my time doing things that are constructive and positive rather than focusing upon negativity, controversy, or picking out the fault in others. I’ve seen many blogs about blogging come and go over the years but have noticed one type of blog tips blog ‘go’ (or die) more often than others – that being the type that dwells of the negative more often than the positive. A number of examples come to mind (that I won’t name) but all of which either focused upon critiquing the approach of others, causing division, stirring up controversy, and basically attempting to get traffic by causing trouble. While in some cases the negative tactic worked in getting eyeballs, each of these blogs is inactive today, and conversations with several of the bloggers concerned revealed that they couldn’t sustain the negativity and ended up burning out. They also reflected to me that because they blogged negatively that they drew around them negative readers, and while traffic often rose so did a brand that they didn’t really want to be associated with in the long term. In my experience, a blogger sets the tone for their blog. If you blog with a negative stance you tend to create a culture of negativity that others pick up on and join in on. This is why some blogs end with with a cesspool of negativity in their comments. On the flip side if a blogger models constructive and positive blogging this can help with building a strong positive and constructive community of readers. While there will may be times to call out bad behaviour, write a justified rant, or offer a critique, my hope for ProBlogger is that it is a place for positive and constructive advice that brings about lasting change for those who read it. My hope with ProBlogger is that it is not only a blog that helps others to ‘Go Pro’ as bloggers, but that it inspires them to do so in a professional and ethical manner. I’ll never forget that moment and the anger that the gentleman spoke with. After an awkward silence for a few seconds, he shared his story. It wasn’t a pleasant one. Sadly he’d been ripped off by a blogger who claimed to be able to teach him how to make a fortune from blogging with his $3000 ‘program’. The program turned out to be a poorly curated collection of posts from ProBlogger and several other blogging tips blogs and the promised coaching and support never eventuated. Unfortunately this is not an isolated story, and one of the difficult parts about blogging about making money blogging is that the unprofessional and unethical actions of a small few bloggers in this niche hurt the reputation of the rest of us. ProBlogger has no $3000 programs and makes no promises of overnight riches from blogging. Making money from blogs generally takes a long term approach and a lot of good, old-fashioned hard work. While the temptation to take short cuts through unethical ‘black hat’ behaviour exist, the reality is that doing so puts you at the risk of being caught out and having your reputation hurt. My goal with ProBlogger is to create a site that helps bloggers to blog well about what they’re passionate about, to build business models around their blogs to help them sustain what they do, and to do it in a professional and ethical way. 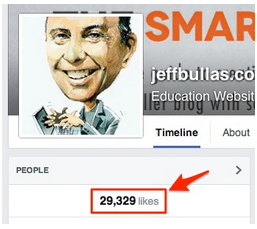 Recently I shared a video on my Facebook page about how I structure social media updates each week. I have been asked frequently about how much content to share, what times to share, and what I do personally for each of my sites. I take a pretty proactive approach on the Digital Photography School Facebook and Twitter feeds, ensuring there’s a broad range of new and old content across timeslots that work for our audience. It’s solid advice I think would be useful in any niche – especially because there is the tendency to be overwhelmed with having to keep up with different social media sites, all the while trying to be relevant and interesting. I always tell people to choose the sites that work for your blog and your audience, and to focus on doing them well. In this video, I share my (very simple Google Doc) editorial calendar, and how I find content to fill it. I also go through the process I use to share each article with our audience, from choosing the image, to describing it in a way that will interest people. I also go through how I look through the archives for relevant articles that haven’t been shared in a while. Do you have a social media workflow? 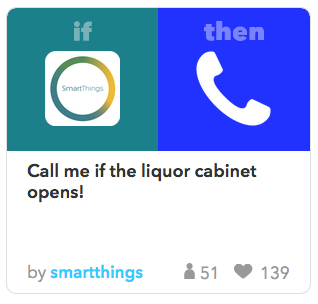 Do you find using a third-party scheduling app useful? Would love to hear your thoughts in the comments. Surprisingly to me, the topic of goals seems to divide bloggers into two camps: the ones who think goal setting in any situation is of vital importance, and the ones who think that blogging should be more spontaneous and fluid. The great thing about blogging that perhaps other business ventures don’t have is the personal aspect. The sharing of stories, the authentic representation of real life people in the real world. Sometimes it’s hard to put structure on that, to say your blog must do X and Y if you are ever going to get to Z. Many people buck the idea of pointing their blog in a direction rather than let it evolve naturally. Plus some of us just really hate being told what to do. The difference can usually be boiled down to the main reason you write your blog, and where you want your blog to go. Is it a creative outlet? A thing of passion? A bit of fun that isn’t meant to be stressful? Or are you hoping it will earn you some money, maybe some freelance writing work, some speaking engagements, or even a book deal? Maybe even a bit of both: a creative outlet that makes an income? In order to reach a destination, you have to know where you’re going. And if you’re happy for some structure, a bit of guidance, and practical steps you can take to build your blog into a vehicle to get you where you’re going, then you need some goals. I know – I tried to resist it for a long time, even though I planned to either monetise my blog or find online work from my blog since the day I realised you could (which, incidentally, was about five minutes after I started it). I liked seeing how my blog evolved slowly as I learned things. I eventually got my head around SEO, about building traffic, and about the importance of good design (that one took me a while). But the day came when everyone was talking practical goals. That in order to take your blog to the next level, then you better have some stepping stones to get you there. Wandering around doing whatever takes your fancy can only last you so long. Although the scenery is nice. There are plenty of positive outcomes of goals even if you don’t reach them. 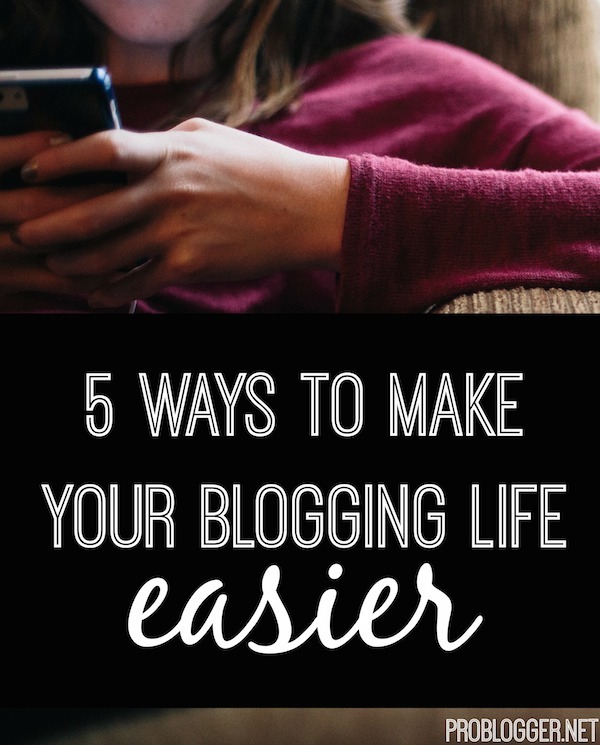 This is particularly useful if, like most of us, you’re juggling blogging with your life, your other job, your family, and your other responsibilities. There’s often not a lot of time left in the day to blog and you hate wasting it. If you have goals you’d like to reach (post twice a week, get five new Facebook fans this month), then you’re more likely to work on something that will help you reach your goal rather than fall down an Instagram rabbit hole and an hour later you’re on your cousin’s brother’s best friend’s Queensland holiday photos from two years ago. You haven’t written a thing and now it’s time to go to bed. Having even small goals can help you to use your time more wisely. While reviewing things of the past to figure out what worked and what hasn’t is an excellent tool to keep your blog on track, it’s best to spend most of your time in the present, looking toward the future. Goals can keep you on track by giving you something to aim for. You might feel like perhaps you’ve hit a plateau and are looking around to lift yourself out. 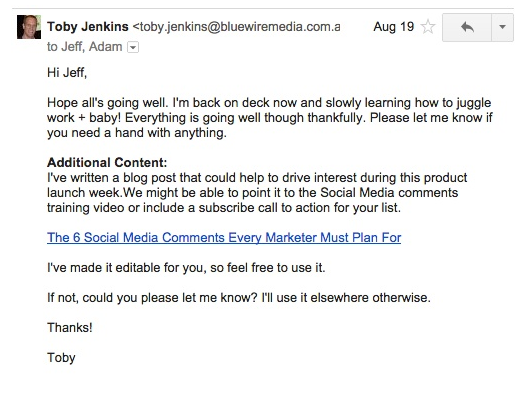 You might have made a mistake (like all those years I didn’t think email lists were important) and want actionable steps to rectify it. Having a point you’d like to reach keeps you focused, and also provides a chance to feel successful when you make it. I have been meaning to write an ebook for three years. Two years ago, I started it. I haven’t touched it since. I had some vague plan of maybe working on it for 15 minutes a day, like Darren’s famous story, and I even added it to my daily “to-do” list. At one stage, trying to make it even easier on myself, I made it only five minutes a day to work on it. Without a specific goal, though, broken down into manageable pieces (design a cover one week, write 500 pages on Tuesday the 15th, perhaps), my vague plan got me nowhere. That book is far from finished two years later because I haven’t been accountable to myself for getting it done. That’s two years of lost revenue. I’ll say that again: two years of lost revenue. I could have set a goal, broken it down into manageable chunks (exactly what I talk about in How to Blog Effectively When You’re Feeling Overwhelmed because hey I had a job and two toddlers and a blog and overwhelmed was exactly how I felt) and done it in steps, then I could have had that book ready ages ago. Success is the best motivator. There’s nothing like that adrenalin rush you get when you pull something off. You put in hard work and you were rewarded. More of that please! You’ll move heaven and earth to make some time to get that stuff done because you know it works. It feels good to win. If there’s anything I hear the most about bloggers a few years into their journey is that they can’t break through middle ground. They’re not quite beginner, they’re not quite pro – but what they’ve always done (which saw results in the past) just isn’t cutting it any more. 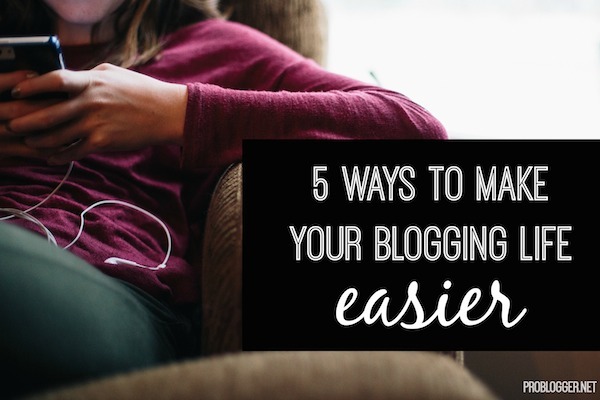 Some people even like to rest here a while – but at some point, most bloggers want to keep growing, keep building their readership, keep putting one foot in front of the other. Setting practical, achievable goals can help bust you out of that rut, while reinspiring you to ignite that passion you had when you first started. Then when you reach that goal (and you find it was easier than you think), then you’ve moving forward. You’re growing. So we’ve established why goals are important (and if not vitally important to you personally, then at least useful). The next thing to do is chat about how you can make great ones – and actually reach them. Don’t fall victim to the vague plan, I like I did. Set aside a few minutes for brainstorming, then organise your ideas into goals you’d like to achieve. Stick them on your mirror, write them on a whiteboard, email them to yourself, save them into Evernote, write them in your diary – it doesn’t matter where, just write them down. People who write their goals down are significantly more likely to achieve those goals, and it can help you remember your main purpose. It’s fine if you change them later, but get them down somewhere first. The best way to overwhelm yourself and ensure you never get anywhere is to write yourself a long list of concrete goals that are impossible to uphold. The fewer in number you keep your goals, the easier they will be to reach and the more likely you’ll be to keep on the path. They need to be adjustable and malleable as your expectations and knowledge changes. You might like to have maybe one a month, or a set of 10 that are dependent upon the goal before it being met. Whatever will be the strategy you are most likely to stick to. You’ve probably heard it before – keep your goals specific (“grow my newsletter list by 50 this month” rather than “grow my newsletter list”), measurable (quantities are good here), actionable (something you do rather than something you are), realistic (by all means challenge yourself, but don’t aim for the impossible), and timely (deadlines are exceptional at getting you moving and stopping the “I’ll get to it one day” lie). Do each of your goals fit this criteria? 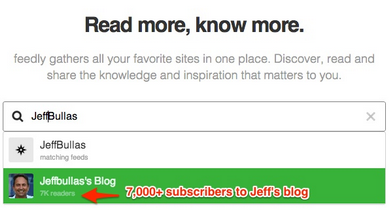 Create or upgrade your subscriber incentive by week 1. Add an extra sign-up box at the end of your posts by week 2. Write a post describing the value of signing up to the newsletter and pointing people to the new or updated subscriber incentive (and of course, where to sign up) by week 3. Offer a short-time only extra bonus for newsletter subscribers by week 4. 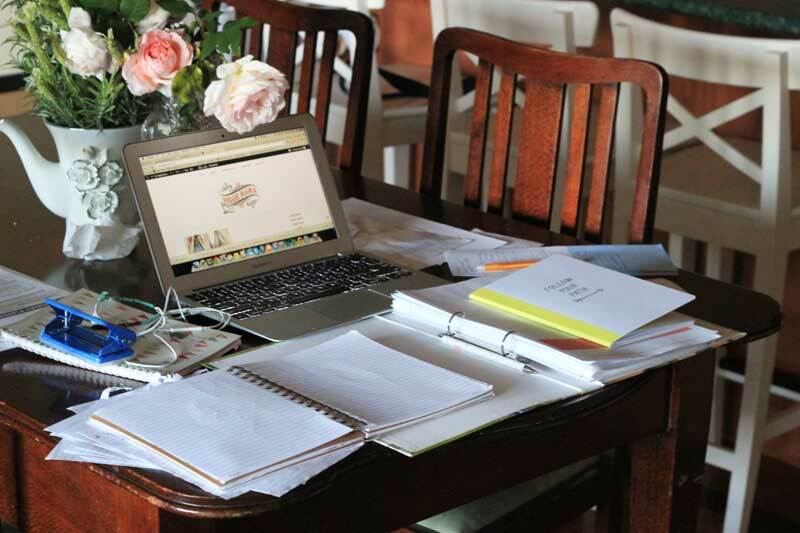 I think most of us have a sort of goal or destination for our blog lurking in our grey matter somewhere, but sitting down and putting pen to paper can really help you figure out what you want and why you’re putting all this effort in. You might even surprise yourself with what comes out when you give it space to grow. So even if you think you’ve got an idea of where you’re headed, write it down anyway. Then run it through the SMART criteria – see if you can put it on a timeline, or make it more practical and actionable than it is. That’s your long-term goal. Your short-term goals can be a mix of the broken-down steps you’re taking to get to the long term goal, and other small fun goals you set yourself to be just that little bit better than you were before. One of your goals might be to take a writing course, or to have a guest post published on your favourite site. It can be pitching an article to an authority site that you’re absolutely terrified to do – it can even be as small as simply finding out who to pitch to by Friday next week. It works for weight loss, so it can work for your blog goals too! You can have an accountability partner and chat together about your goals for the week or month and check in regularly to see how each other has gone. You can have the same goals as a friend and motivate each other to reach them (or even make it a little competition!). You can just email a friend a list of things you’re going to do, or you can even write them in a blog post and be accountable to your readers, like Crystal Paine of Money Saving Mom does in her goal review posts. Just make sure you tell someone (other than the cat) so you’re more likely to reach the goal rather than face the embarrassment of telling them you failed. I like the idea of saving a file or having a notebook for your goals and jotting down your progress. You can write down what you’ve done to try and reach them, whether it was useful or not – or you can just tick them off as you go. But check in regularly to make sure you’re on track and that they’re still the kinds of goals you’re interested in. Plans (and blogs) can change, and what you might have thought was important at the start of last year now has no significance whatsoever. Set regular reminders in your calendar to review your goals and make sure they’re still relevant to you. You can change them, increase them, or throw them out entirely and start fresh. You might also meet some of your goals much faster than you anticipated, so you might want to set yourself some more. I know, it’s hard enough to get through what needs to be done every day let alone step back, take a deep breath, and figure out the big picture. If you treat brainstorming and goal-setting like a non-negotiable task, and block out time on your calendar to do it, then you’re more likely to treat it with the importance it deserves. Make your first goal setting a time to create your goals. You will when you sit down and brainstorm, I promise. If you give yourself time to reflect and think about your blog and what it means to you and where, ultimately, you’d like to take it, then you’ll begin to realise there are milestones you’d like to achieve. Start with a few and when the time comes to review those goals, you’ll have come up with a few more to add to the list. So were you like me and thought you’d be fine without goals? Have you had goals since day one? You might even have a buisness plan! I’d love to hear how you structure your steps to reach your dreams. Stacey is the Managing Editor of ProBlogger.net: a writer, blogger, and full-time word nerd balancing it all with being a stay-at-home mum. She writes about all this and more at Veggie Mama (with the added bonus of good food!). Chat with her on Twitter @veggie_mama or be entertained on Facebook. This is a guest contribution from Danny Iny. Yet another internet marketer has “taken the stage”, extolling the virtues of the newest “revolutionary” product or tactic that is guaranteed to blow the wheels off your competition and have you rolling around in hundred-dollar bills before your next electric bill comes due. But you can only hear the proclamations so many times before you start to get skeptical. So you tune out the noise and do your best to keep your head down, grinding away at the same old thing you’ve been working on for months. You end up with the same old outcome. But what if there was a way to create the kind of success all those “Get Rich Quick” gurus are spouting on about? What if it turned out to be a process that’s not only profitable, but also scalable and repeatable? And… what if someone was finally able to crack the code? Turns out, all it takes is a little bit of telepathy. …let’s get one thing straight: this process takes hard work – a lot of it. If you don’t put in the work, that fat pile of cash isn’t going to just materialize all by itself. The first step is to listen to your audience. But, chances are that the way that you’re listening isn’t quite what it could be. First, the good news – chances are that you are an expert in your field, and because you do listen to your audience, you have a good sense of your industry. But, there’s also bad news – the likelihood is high that you have preconceived notions about both the industry and your customers, and these preconceptions are keeping you from breaking through. 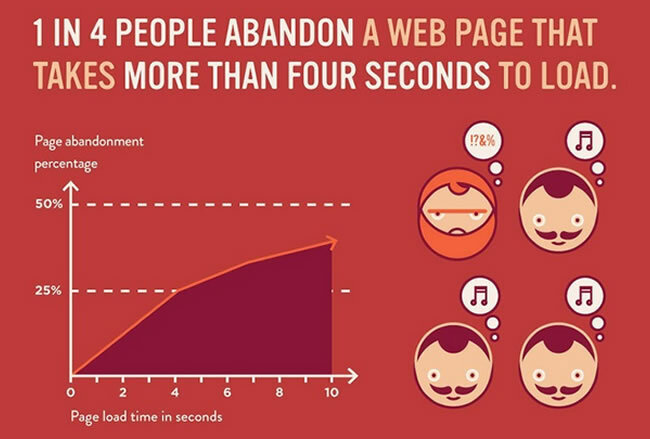 Even if you don’t have an audience, you can start listening to conversations around the web. Eavesdropping is the same online as it is in person, and by finding out where your target audience hangs out, you can start to listen to and track the things that they say. Are they active on Facebook groups or Twitter? 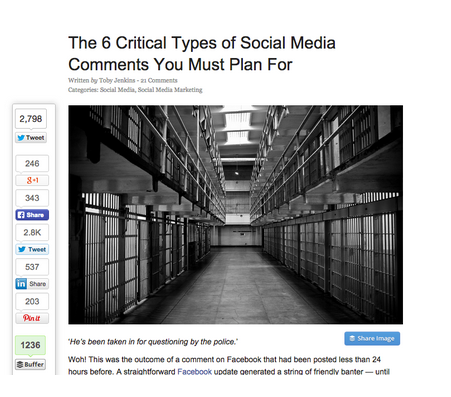 Do they leave lots of comments on the big blogs in your industry? Are they involved in forums around your topic? Pay attention to the exact words that they use to describe the problems. If you already have an established audience, you can use this to your advantage. It’s not a requirement, just an added bonus. FYI, this is the only step that requires an audience! Take note of the things that your audience emails you about. Do they have specific issues or topics that they bring up regularly? Do many of your readers talk or complain about the same things? And, if you’re feeling a little bit shaky about your connection to your audience, here’s a great ProBlogger post about building up your blog. Whether you have an audience or not, you can create a simple survey to gather even more data. And when I say simple, I mean simple: just two questions long! The first question will be, “if you had 15 minutes to ask me anything, what would it be” – this question can be broadened (and clarified) by including a topic area, if you don’t have an established audience or are bringing people to your survey via advertising. Anyone who agreed to the phone call in the survey will then go on to do an informational interview with you. The most important things to cover in these informational interviews are what challenges they are dealing with at the moment, and what they’re currently doing to solve the problem. This is where you can really dive deep into the issue that your audience is having and ask clarifying questions, to get to the heart of what’s going on. 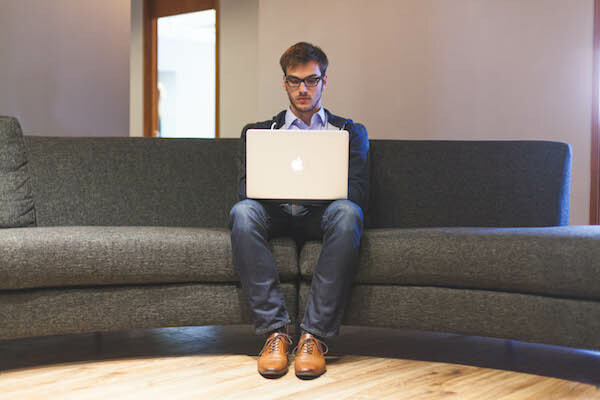 These interviews will last somewhere around thirty minutes or so, just long enough for you to gather the data you need, without being overwhelming to your interviewee. The next step after you finish gathering your data is to analyze it! Is there a topic area that comes up often? Are lots of people having the same (or a similar) problem? Then, figure out how you can solve the problem. Is there a product or service that you can provide for them that would make a huge impact on their lives? What can you easily and dependably provide for them? Once you have figured out how to solve your audience’s problem, you might think that it’s time to retreat to your office and create the solution. There’s still more to do, to make sure that your audience wants (and will pay for) the solution that you are ready to offer them. Even if you started out the process without an audience, by now you have a list of people who have answered your survey and participated in your informational interviews. You’re not actually selling anything at this point, but rather just gathering more feedback and validation about whether you will proceed with your offer or not. If the responses that you get range anywhere in the “vaguely interested” to “crickets” range, it’s probably time to go back to the drawing board, to look through your data and see if there is a different direction that you can go. But, if your audience responds enthusiastically, reaching out with grabby hands and shouting, “yes, yes, yes!! Gimme!” then you know that you are on the right track! Only after hearing this enthusiastic response should you move on to the next step. If you’re not feeling completely comfortable with releasing something for sale on your blog just yet, check out this article about what to do before you launch a product. The key to planning a pilot is to offer minimum viable richness: only as much as needed, and no more. 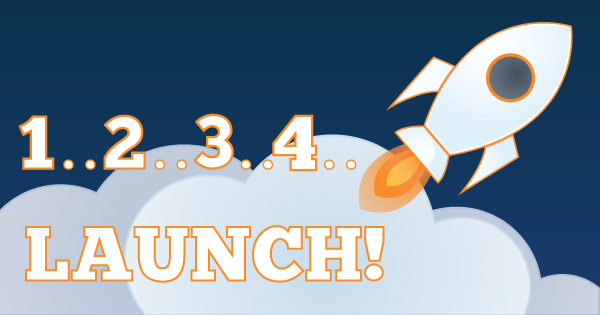 There won’t be extra bells and whistles, no fancy software is necessary, and the first students will be early adopters – kind of like beta testers for a new software product. Your early adopters will have access to the material for a fraction of what the eventual course will cost; this discount is in exchange for the feedback that they will give you throughout the course. Open the cart – Send out an email to your audience letting them know that you are offering the pilot. Send follow up emails – If you have trouble with the actual selling, head over here to grab a set of sales templates that you can swipe and use word for word in your sales process, on the house. But move quickly – they are only going to be free for the next couple of days! Close the cart – Once the registration window is done, close the cart! Decide whether to move forward – If your pilot only sold a few spots, it’s time to decide whether to move forward – did enough people sign up to make the experience worth it for both you and them? But, if you sold most of the spots, or even sold out, congratulations! You have validated that your offer is a good one, and that people will pay for the solution to their problem. Now it’s finally time to make good on your promise, and solve their problem! Even though this is only a pilot of your eventual product or course, you still want to provide an amazing experience for your students. You want to create an educational experience that is efficient, effective and appealing. You want to make sure that you teach only what your students need to know, and to be crystal clear and thorough in teaching the content. You will want to build in small wins for your students, structuring the course content in such a way that your students are able to create a habit of succeeding! You will plan your course material so that one idea builds on the ones taught previously, and you will run the program from a basic outline of the course. The pilot course won’t be perfect, but it will teach you a lot about what can be improved for the eventual full course. And, as long as you are delivering what you promised to your pilot students, the likelihood is that both you and they will learn a lot from the process! So now you have the full step-by-step process of how to launch a product from scratch, with almost guaranteed results. And, work with them to pilot the solution to success! If you’re still feeling like you’re not quite ready, I’ll be hosting a webinar on Saturday, February 7 that will walk through the process in more depth. By now you can see that it’s definitely not a get-rich-quick scheme. But, when used properly, this process can absolutely bring some cash in the door. You now wield the power that those “Get Rich Quick” gurus only dream about. That means it’s time to get out there and start collaborating with your audience. They have a problem, and they need YOU to solve it!